Aarsun Woods presents to you handcrafted wooden dining chair made from Teak Wood crafted by Skilled Artisans. , A dining chair can serve many different purposes. If you have a formal dining room, your dining chair is often only used for special occasions. If it’s part of a kitchen dining set, it probably sees a lot of action — everything from game night to daily family meals.Dining room furniture is among the most stylish and functional type of furniture in the home. 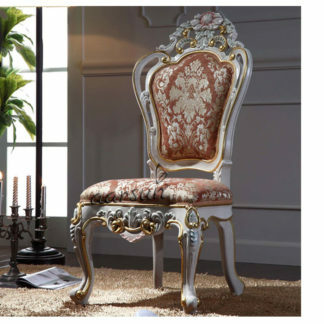 This Elegant Dining Chair have a floral carvings with fine work. This Wooden Dining Chair feature a unique fiddle-back design as well as good back support. The chair legs have a gentle curve that tapers at the end.This Dining Chair beautiful addition to any contemporary or classic environment. 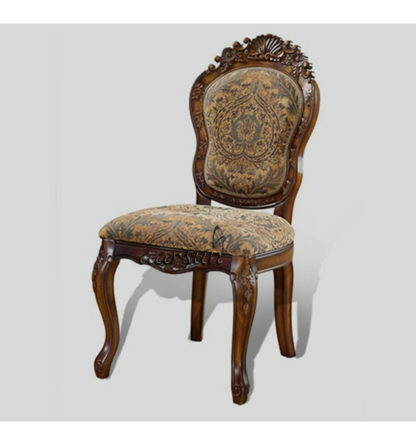 For different wood and designs, have a look at Sheesham Wood Dining Chair we recommend you to have a look at Wooden Dining Chair.